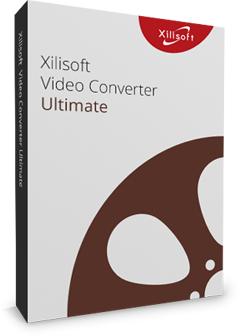 The best video converter for your iPhone, this software supports nearly all popular video formats such as AVI, MPEG, WMV, DivX, MOV, RM, H.264/AVC and H.265/HEVC to format viewable on your iPhone, iPhone 3G, iPhone 3GS or iPod touch. It also converts audio such as WMA, MP2, OGG, RA, AC3, APE, CDA and even extract audio from videos to convert to MP3, WAV or M4A so you can watch and listen to them on your iPhone. Supported video file formats: AVI, MPEG, WMV, DivX, MOV, RM, VOB, H.264/AVC, H.265/HEVC. Supported audio formats: WMA, MP2, OGG, RA, AC3, APE, CDA and more. Convert audio such as dialogues or music from a video and convert them into audio file compatible to play with iPhone 3G, iPhone 3GS, iPhone 4, iPhone 5, iPhone 5s, iPhone 5c, iPhone XS, iPhone XS Max, iPhone XR, iOS 12. 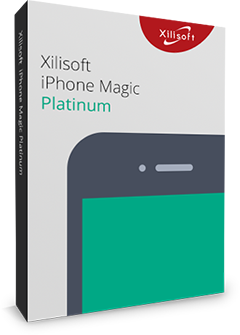 Empowered with NVIDIA CUDA & ATI Stream technology, Xilisoft iPhone Video Converter brings you the remarkable performance in video to iPhone converting . Customize ParametersDiverse parameters for video, audio and picture profiles are classied for easy navigation and can be easily and freely customized for satisfying your special needs. Supports not only iPhone 3G/3GS/4, but also all iPod Generations (iPod touch, iPod nano). Run the software in the background while converting without conflicting other programs or slowing your computer down. Leave the converter to do its job; set hibernate, shut down, exit or standby after a conversion is done to avoid waiting. Preview and snapshotOffers you a built-in player (which is resizable and can be used as a stand-alone player with 4:3 and 16:9 zoom modes) to preview videos and take a snapshot of your desired movie scenes and save them as picture files. Allows you to manage your system power in this iPhone video converter. Several LanguagesSupport multiple languages: German, Chinese, English, Japanese, French and Spanish.